The long-lived and well-traveled Red Knot B95 was sighted again in Tierra del Fuego this week. B95 was first banded in 1995 and has flown over 350,000 miles in its migrations between Argentina and the Arctic. A threatened lawsuit by bird conservation organizations has stopped plans for a wind farm in Lake Erie. New York wants to eliminate the 2,200 Mute Swans in the state by 2025. The only exceptions would be swans in some private collections and public parks, which would have to make the sure the swans did not leave or reproduce. Two penguin populations trying to cope with climate change include Magellanic Penguins, whose chicks have to weather increased summer rainstorms before they have waterproof feathers, and Adélie Penguins, which have to find a way around mega-icebergs to forage during the breeding season. Here is an interview on this year's Snowy Owl flight in New Jersey. A Snowy Owl wintering at Philadelphia International Airport was struck and killed by a plane this week. Wildlife officials had previously tried to relocate the owl but it kept going back to the airport. The Snowy Owl that appeared in downtown DC was hit by a bus and was taken to City Wildlife for treatment. Its prognosis is uncertain. An endangered Philippine Eagle was killed by falling branch in a breeding center on Mindanao. A study found that a greater diversity of birds use no-till soybean fields during the breeding season than among tilled soybeans. However, birds in both field types suffered a high degree of nest failure. A 7,000-acre property in Ecuador was set aside as habitat for Andean Condors. Scientists studying the endangered Chinese Crested Tern have developed a better camera system for continuous monitoring of the tern colony. Polar bears are eating more Snow Goose eggs now that sea ice is less accessible for hunting seal pups. The Eastern Bluebird population on Bermuda is declining. 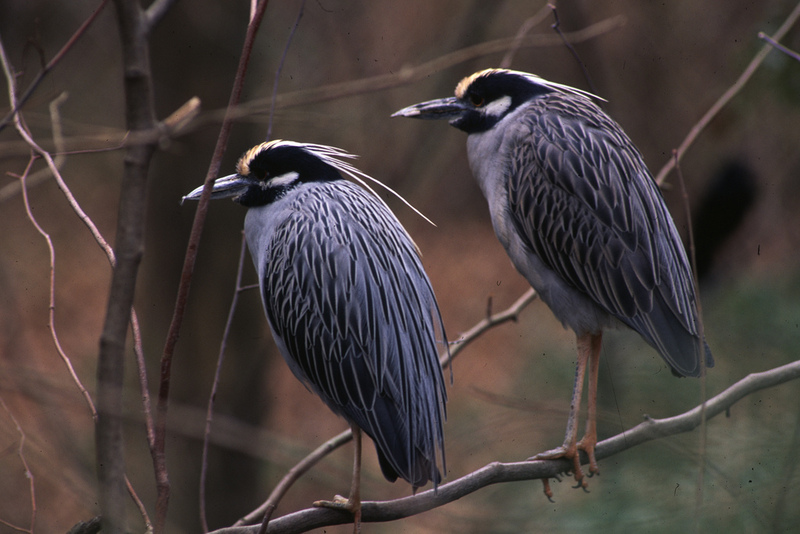 Aerial surveys of the Chesapeake Bay region showed that Great Blue Herons and Bald Eagles often nest in the same trees. This appears to be a result of Bald Eagles moving into heron colonies rather than heron colonies building around an existing eagle nest. Here are results for the Superbowl of Birding. Finally, here is a scientific explanation for why a crow and a gull attacked doves released at the Vatican. The New Shorebirds Handbook Blog: New splits on the horizon: Black-tailed Godwit to be split into three species? View from the Cape: Smith's Longspur re-materializes! Ibycter: Red-throated Caracaras in a Honduran pine forest! The migratory Monarch population that winters in Mexico continues to decline. The link discusses some of the reasons for the population crash, but the major factors are habitat loss due to increased acreage being devoted to corn and soybeans and the overuse of herbicides that kill off milkweed. Meanwhile, a third of Europe's butterflies are declining and one tenth are threatened with extinction. Warming in the Arctic produced a situation this week in which it was warmer in Svalbard than Maryland. The past week's weird weather also saw the hottest January day in Sacramento history and unusually severe wildfires in Norway due to prolonged drought. Solar energy is booming, but it faces political threats. Despite the likely approval of the Keystone XL, the fight against it has galvanized environmental organizations in a way unseen for many years. Climate scientists have been targeted by conservative groups for harassment, in the form of constant FOIA requests for email correspondence and threatening (often gendered) hate mail. One climate scientist is fighting back. This winter's bitter cold might reduce the number of invasive pine beetles in the New Jersey Pinelands, but it is not yet clear if it got cold enough to kill them. Over 2,500 Gray Wolves have been killed in the lower 48 since 2011. A surge in the amount of oil transported by train has caused increasing safety problems. Microbeads, an ingredient found in many body washes and other personal products, have become a problem in the Los Angeles River. Much of the advice to eat seafood ignores problems like mercury and whether the fish in question is actually high in omega-3s. New fossil evidence suggests that the Hoatzin, an unusual bird found only in South America, originated in the Old World and probably rafted to the Americas from Africa. The AOU posted the proposals for changes for North American checklist (pdf). Contrary to popular belief, birds do not sleep in their nests. Instead, they find suitable sleeping locations that provide warmth and safety. Because of the loss of sea ice, many polar bears are turning from eating Ringed Seal pups to eating more Snow Geese and plants. Speaking of Snowy Owls, one in Delaware was observed eating from a dolphin carcass. The same owl may have been captured and banded. 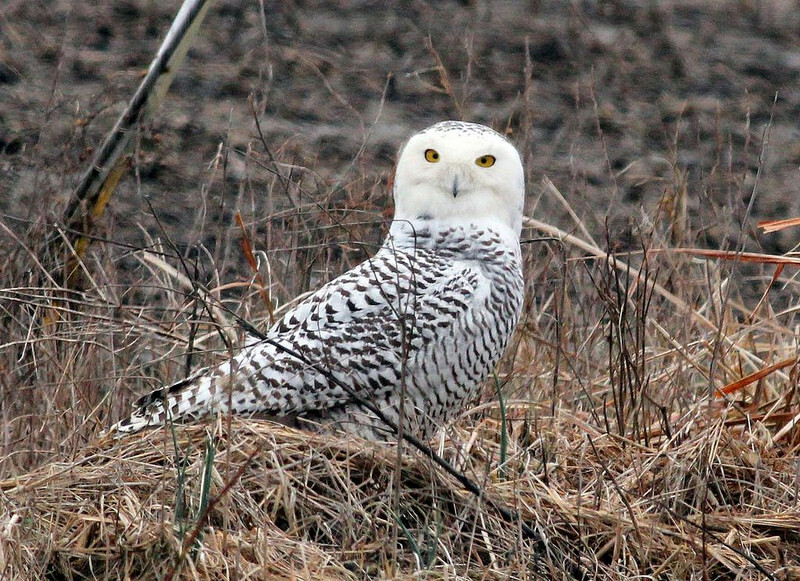 At least 20 Snowy Owls have been sighted in New Jersey this winter. Here is an account of seeing a kiwi and other birds at a New Zealand bird sanctuary. A trail cam caught two Bald Eagles fighting over a dead horse. Woodpeckers in Illinois have been eating invasive emerald ash borers, which hopefully will help slow their spread. This winter's extreme cold should help as well. Kirtland's Warblers were observed wintering on San Salvador Island for the first time. Finally, this video includes the voices of all North American loons. Not Exactly Rocket Science: Can Moths Explain Why Sloths Poo On the Ground? A record 1,004 black rhinos were killed in South Africa in 2013. Poaching is on the rise despite South Africa's best attempts to stop it. A reality show on the Animal Planet regularly features unethical treatment of captive wildlife. Last year was a historically bad year for oil spills from train accidents, but pipelines spilled almost as much oil. Most of the spills are linked to the recent oil boom in North Dakota and Alberta. This year is off to a bad start in that regard, as a train carrying oil derailed on a Schuylkill River bridge. However, no oil was reported spilled in that accident. Last year was 1.12°F above historical norms, making it the fourth-warmest year on record by one measure. While central and eastern North America are stuck in a deep freeze, Australia is enduring one of its hottest summers ever. Some hunters believe that the government and insurance companies conspired to introduce coyotes to the eastern United States to control the deer population. A new species of river dolphin was discovered in Brazil. A new frog species was found on Vietnam’s Mount Fansipan. Hamilton Township is cataloguing its vernal pools for protection from development. Because California has been so warm this winter, bears in the Sierra Nevada are awake and active. The chemical spill in West Virginia included a chemical that was not originally reported. What is even more disturbing is how little toxicity data there is for the reported chemical. Essex County (NJ) is scaling back its deer hunt this year, and conservationists are disappointed. The D&R Greenway preserved its 253rd property. Using cameras strapped to falcons' heads, a scientist found that falcons intercept their prey using a strategy called constant bearing. Instead of flying directly towards their prey, they fly towards their prey's future position. This strategy has also been documented in bats and dragonflies. So far 70 Barred Owls have been shot to help Northern Spotted Owls recover their former territories. The extinction of the Passenger Pigeon may hold lessons for California Condor conservation. The new 15-year plan for condor conservation may expand public access to the Blue Ridge and Bitter Creek national wildlife refuges in California. Long-eared Owls are easy to miss because of their camouflage. In American West, Common Ravens often center their territories around power lines. While macaw parents usually lay four eggs, it is unusual for them to raise and fledge more than one chick. This seems to be a way of hedging their bets: laying extra eggs ensures that at least one hatches, and devoting extra attention to a single chick makes it more likely that at least one chick will survive. Two endangered Whooping Cranes were found shot in western Kentucky. A new study connects the behavioral differences in white-striped and tan-striped White-throated Sparrows to a specific gene. Male Spectacled Warblers use a wide and variable repertoire to build their territorial songs. Canada's conservative government has been systematically destroying scientific records and disbanding federal research institutions. While the main target has been institutions and archives that support climate research, the damage has gone well beyond that. The Pineland Commission rejected a plan to build a pipeline through the Pinelands. It was a rare win for the state's environmentalists. Somerset County has acquired an additional 350 acres for the Sourland Mountain Preserve. It looks like Norway will exterminate its wolf population. While it has not yet collapsed completely, the retreat of the Pine Island Glacier in Antarctica is now irreversible. The loss of big carnivores is a substantial ecological threat because of the effects they have on herbivores (and indirectly on plant populations). State and federal estimates of the danger posed by the recent chemical spill in West Virginia are based on almost no data. Here is more about the chemical involved in the spill. The EPA finally published its first regulation of carbon emissions from new power plants. Nebraska is already suing to block the new regulations. A planned Pebble Mine would pose a serious environmental risk for Alaska's Bristol Bay. In 2011, Richard Crossley introduced a new format for photographic field guides with his much-heralded Crossley ID Guide: Eastern Birds. Crossley tried to overcome the limitations of traditional photographic field guides by presenting each species in an array of plumages all crowded into a single plate that depicts each bird's typical habitat. The intent is to mimic how birds appear in the wild. While no printed guide can recreate actual field conditions, Crossley's guides are about as close as one can get. Since then, Crossley has worked to expand his ID guide series into other geographic regions. A guide to the birds of Britain and Ireland is already published, and one for western birds is planned. Last year I received another installment in the series, The Crossley ID Guide: Raptors. The new guide is coauthored with Jerry Liguori and Brian Sullivan. Like the guide to eastern birds, this raptor guide features birds as they appear in the field: perched, flying, interacting with other birds, in various plumages, etc. Once again, the plates show a raptor's typical habitat with numerous bird photos added into the background with the help of Photoshop. Like its predecessor, The Crossley ID Guide: Raptors features beautiful photography. I initially enjoyed just flipping through and looking at the plates. Since hawk migration is an emphasis in this guide, the backdrops are often coastal or mountaintop hawk watches, some of which are spectacular. I especially liked the plate showing how vultures might look from the top of the Cape May Lighthouse. The focus on a single family allows even more detail than was possible in the guide to eastern birds. Most species are spread over multiple pages, with color morphs or regional plumages receiving separate attention. 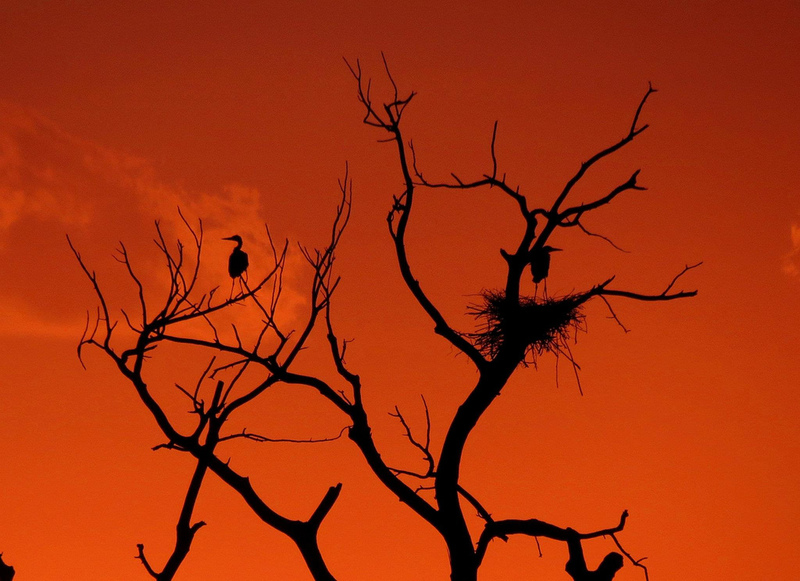 As in the first guide, the photos of individual birds are inserted into backdrops depicted a typical habitat. The raptor guide takes this a step further by showing separate plates for hawk watches and habitats where the hawk typically resides. This is useful because there are different identification challenges for raptors that are just passing through (especially at mountaintop hawk watches) than ones that are perched or hunting in a field. Some plates also mimic difficult lighting conditions, like overcast skies or the golden hour, and plates show both close and distant raptors. New features introduced in the raptor guide are comparison plates and quizzes. These plates show groupings of similar species in typical habitat with individual birds numbered and with answers at the back of the book. These features ought to be useful for someone who is new to hawk study or for learning unfamiliar species. Another difference between this guide and the guide to eastern birds is the inclusion of detailed species accounts with range maps at the end of the guide. While it is smaller than its predecessor, The Crossley ID Guide: Raptors is a little too large to carry as a field guide on most occasions. However, since hawk watching is a matter of waiting in a location for hawks to pass by, it could be used as a reference at a hawk watch (provided that getting to the hawk watch does not require a hike, as some mountaintop hawk watches do). The Crossley ID guides are intended for home study, mainly for preparation to know what to look for. On numerous occasions since I received Crossley ID Guide: Eastern Birds I have made use of it to help figure out difficult identifications. Photoshopping aside, The Crossley ID Guide: Raptors occupies a similar niche as Jerry Ligouri's other guides, Hawks from Every Angle and Hawks at a Distance. All three guides attempt to show readers how raptors look under less-than-ideal field conditions: at a weird angle, backlit, at a distance, disappearing behind some trees, and so on. All three guides emphasize shape and flight style as a way of getting around the difficulty. I think the new guide actually improves on Hawks from Every Angle and Hawks at a Distance by showing those angles in their habitat contexts. From reading reviews of Crossley's first guide and from conversations with other birders, I get the sense that some birders find Crossley's style far too cluttered. The new raptor guide is probably not for them since The Crossley ID Guide: Raptors shares much in common with its predecessor. However, if you like raptors and enjoyed the first Crossley guide, as I do, you will probably like The Crossley ID Guide: Raptors. A reporter for the Star-Ledger participated in the Raritan Estuary CBC and was part of the team that covered the Edgeboro Landfill. Salvage logging in the lands scorched by the Rim Fire may put Black-backed Woodpeckers at risk since they forage in recently-burned areas. A birder is doing a North American big year by bicycle. A new study seeks to identify which fingers birds have. Climate change is forcing penguins to breed on higher ground, and in some cases they must climb 100-foot ice walls to do so. A Red-necked Phalarope banded in the UK made a 16,000-mile round trip on its migration, which crossed South America to its wintering areas in the Pacific Ocean. Snowy Owls have been sighted at all three DC-area airports. Several bird conservation groups are suing to block a proposed wind farm in Lake Erie. The Bald Eagle deaths in Utah were caused by West Nile Virus. View from the Cape: My little chickadee! Native Plants and Wildlife Gardens: It is Cold Outside. Where did all the Butterflies Go? China has set new air pollution goals to reduce its serious problems with smog. Meanwhile, the EPA has finally published its first regulation of carbon dioxide emissions. One possible benefit to the cold snap is that it may kill many of the emerald ash borers that have become a problem in the Midwest and Northeast. If 60 Minutes wanted to do serious reporting on problems with renewable energy, they could have done a much better job by asking different questions. The shrimp season in the Gulf of Maine is closed this year because the fishery is depleted; shrimp have shifted their range northwards in response to climate change. The sea level is rising faster along the Jersey Shore than elsewhere in the world, partly due to subsidence. California has had very little snow this winter, which bodes ill for its water supply. The Colorado River is also well below its 20th-century levels, which may have been an unusually wet period. City planners are starting to consider how the plants and landscaping they provide affect wildlife. Invasive carp may already be in the Great Lakes. Another oil train caught fire, this time in New Brunswick (Canada). Here are some photos of the Jersey Shore at night. For those who are not tired of seeing pictures of ice yet, here are some photos of Niagara Falls frozen by the polar vortex. I saw four new life birds this year. Since I do most of my birding in and around New Jersey, it is getting harder and harder to find new species that I have not seen before. My life list ended the year at 359 species, and my New Jersey list is at 306. These were all among my new state birds as well, with the one exception being a Western Grebe, a species I previously saw in California. My county list grew significantly, even though I doubted at the end of last year that I would be able to find many more species in the county. With a similar number of new species in 2014, my Middlesex County life list (currently at 233) would pass my list in Cape May County (currently at 240) for my highest single-county total, something that was hard to imagine just a couple years ago. 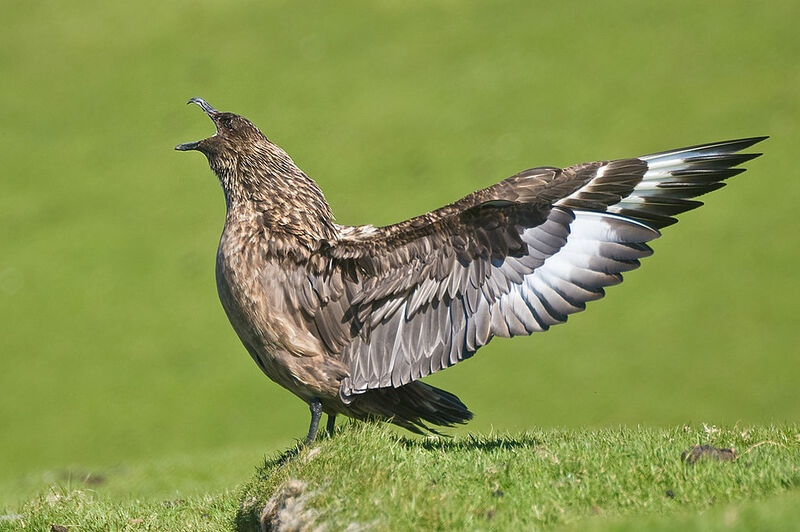 On December 28, Neil Hayward broke the ABA-area big year record with his 750th bird of the year, a Great Skua. In 2014, another birder, Dorian Anderson, hopes to see 600 bird species while cycling across the country. The latter is keeping a blog about his journeys, and here is an interview with him. Eight Snowy Owls were trapped and relocated away from Detroit Metro Airport. Project SNOWstorm is collecting data on this winter's Snowy Owl irruption. As most birders are probably aware, the use of playback from digital devices is controversial and may have consequences for conservation and bird behavior. Both the ABA and Audubon are developing guidelines for the use of audio playback. Monk Parakeets have successfully colonized New York City and its suburbs. DNA barcodes were created for 388 individuals of 147 bird species from The Netherlands. The barcodes were based on specimens in the collection of the Naturalis Biodiversity Center in Leiden. Which museum specimens are useful for making barcodes depends on the age and size of the specimen. The Moluccan Woodcock may be less endangered than scientists thought. Two Bald Eagles were shot in Maryland. A refuge for Blue-throated Macaws in Bolivia has doubled in size. This species is critically endangered due to habitat loss and the pet trade. Developers in Britain are starting to build separate housing for protected species when they develop a site or convert old buildings for new uses. Testosterone increases a bird's desire to sing but not its song quality. So far 20 Bald Eagles have died in Utah due to unknown causes. Here are a few of the bird species discovered in 2013. Conserve Wildlife Blog: What makes peregrine falcons so unique? ABA Blog: Neil Hayward Does It! Last Saturday was the 40th anniversary of the Endangered Species Act. While the Endangered Species Act has been successful at some charismatic species, it has been continually weakened by interests opposed to environmental protection. 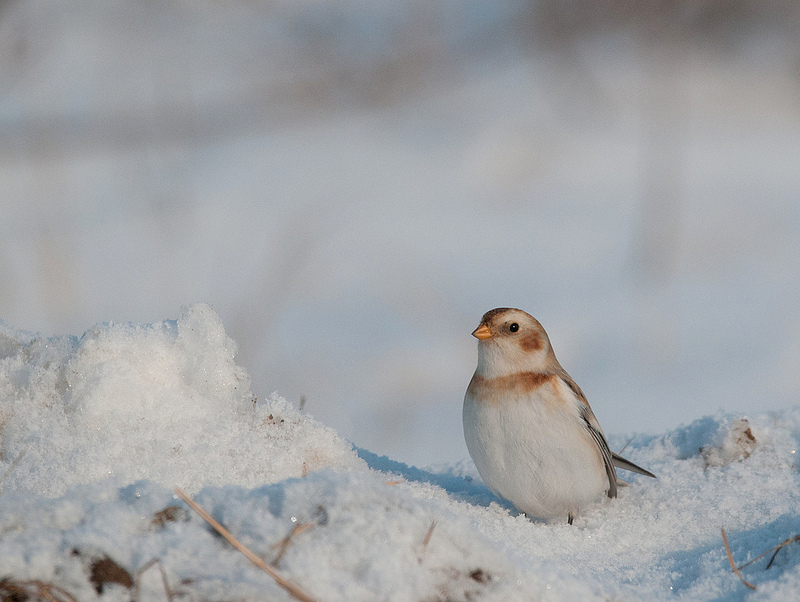 If you bird in this weekend's extreme cold, take the proper precautions. Here is an explanation for why sound is muffled during a snowstorm. A state court will decide if Christie illegally withdrew New Jersey from a regional climate change agreement. Illinois may soon have a resident wolf population. The plastisphere in the world's oceans may be responsible for the proliferation of some toxins throughout the marine food web. Road salt contaminates wetlands and rivers close to roadways, and the contamination lasts more or less year-round.